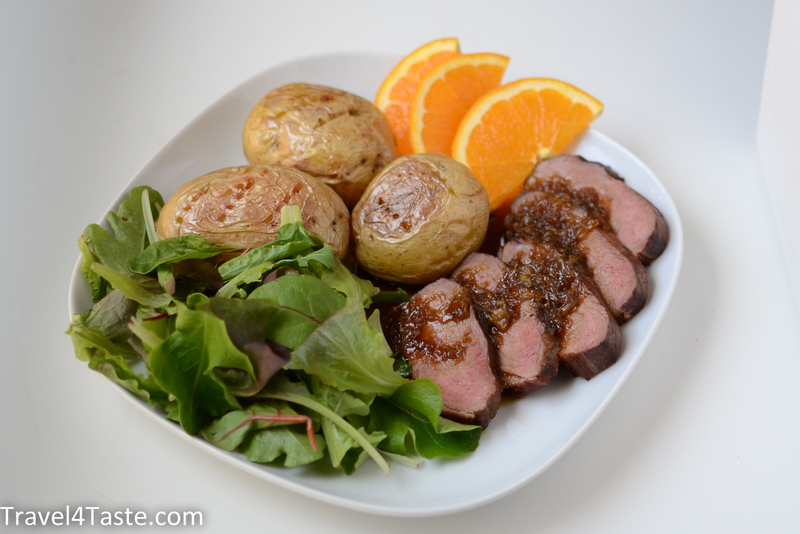 After getting addicted to the Duck with Honey & Balsamic Vinegar recipe, I decided to also try out the more classical recipe: with the orange & honey sauce. I really cannot say which version do I prefer. They are both delicious! I will probably alternate them. 1. 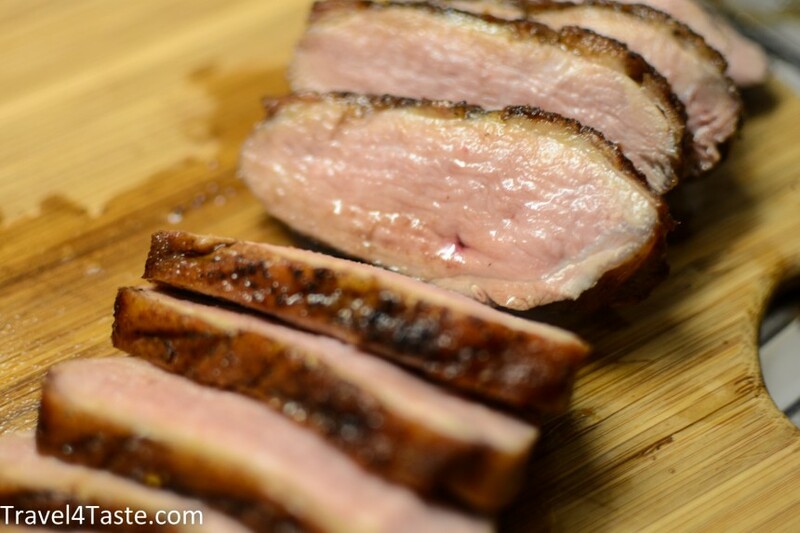 Follow the step by step instructions to fry the duck. (click HERE). 2. Prepare the sauce. Squeeze the juice from two oranges (250-300ml juice). Mix it with the balsamic vinegar and honey and pour it on the frying pan you previously used to fry the duck. 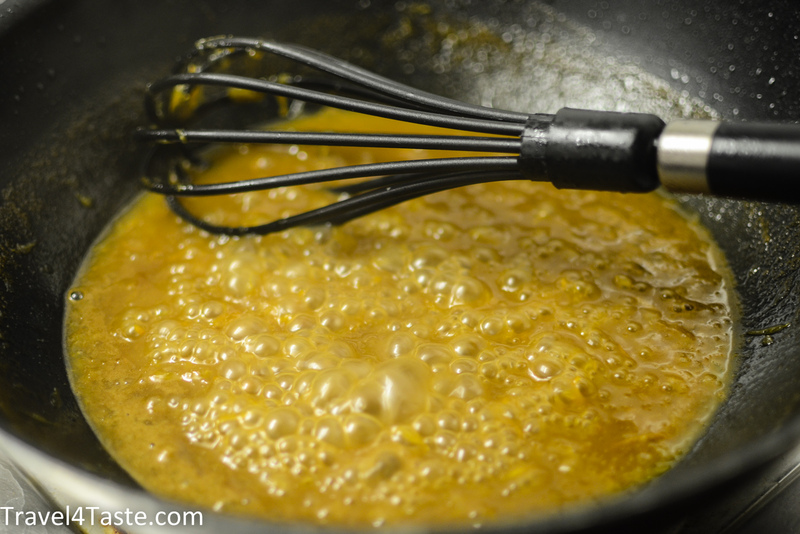 (If your frying pan is not deep enough you can transfer the juice and duck fat into a saucepan). 4. 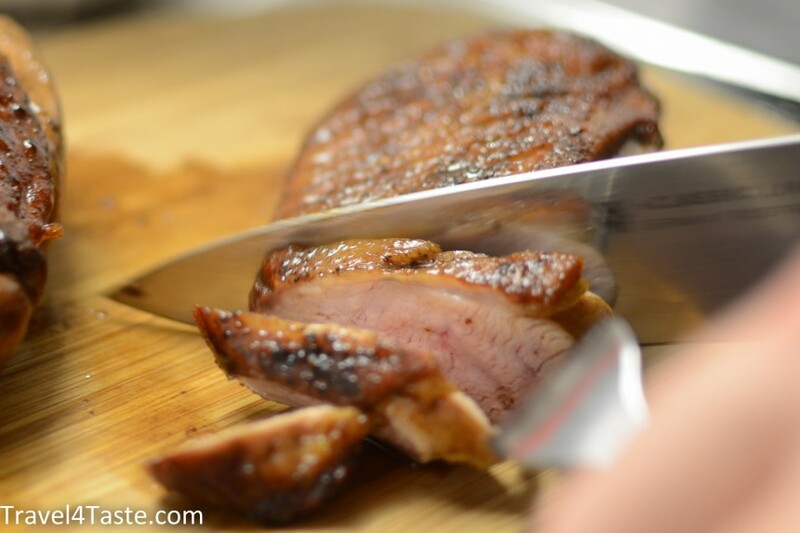 Cut the duck into 1cm slices. This entry was posted in Dinner, France, Fruits, Main dish, Meat, Sauce, Valentine's Day. Bookmark the permalink. An excellent recipe. 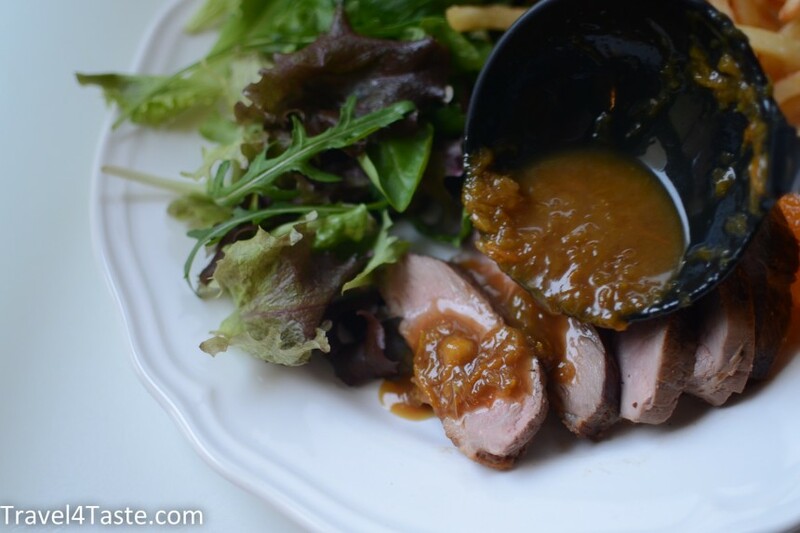 I have tried the sauce to serve with roast duck legs : slow roasted them, then stripped the meat from the bones before serving. Your version of the dish sounds delicious!